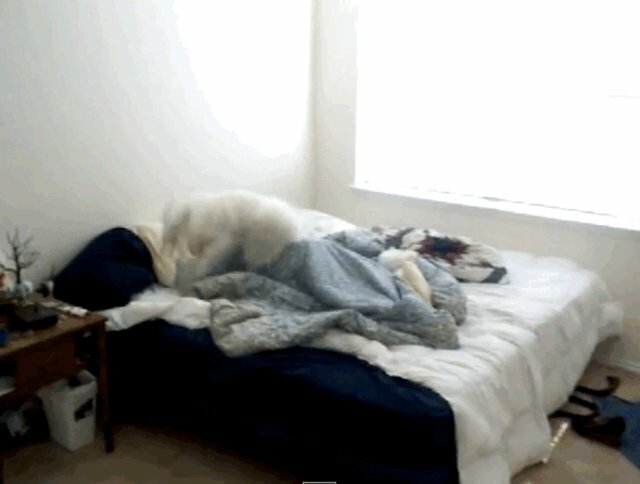 Mornings can be rough, especially when it comes to getting out of bed. 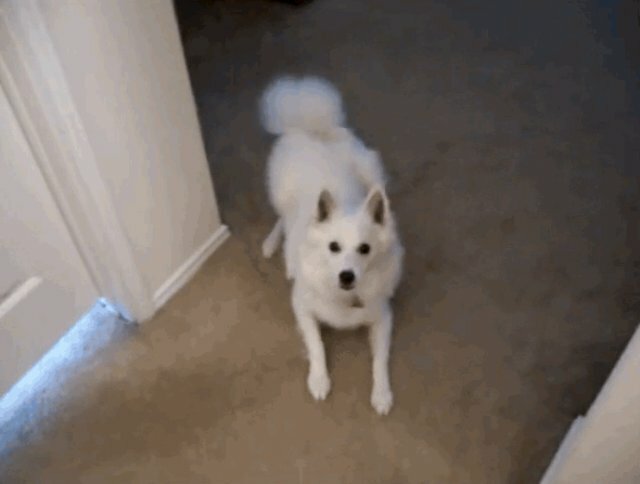 Bubo the American Eskimo dog, however, knows that the only thing his owner needs to start her day off right is a doggy wakeup call! After a little help with the door, Bubo leaps into action, pouncing and bouncing to deliver the perfect amount of early morning cheer! Time to start the day, human! In the end, Bubo finds the snuggles are probably the most effective method for waking someone up -- after all, that way everybody wins.